The 18V X2 LXT® Lithium-Ion (36V) Cordless 7-1/4" Circular Saw (model XSH01Z, tool only) is the world’s first cordless 7-1/4" circular saw powered by two 18V batteries. The XSH01X provides the performance of a corded saw without leaving the strongly-preferred 18V platform. 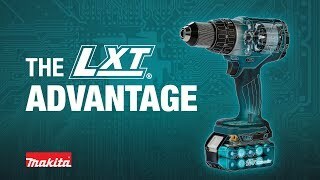 It’s part of Makita’s expanding 18V LXT® series, the world’s largest cordless tool line-up powered by an 18V Lithium-Ion battery. The Makita 18V LXT® battery has the fastest charge time in its category, so it spends more time working and less time sitting on the charger. The Makita-built motor delivers 4,800 RPM for fast cutting and ripping. In performance testing the XSH01X/Z made 250 cuts in 2x4 lumber per charge**, which is up to 2.5 times more cuts per charge than the Makita 18V Cordless 6-1/2" Circular Saw, model BSS611Z. With a 7-1/4" blade the XSH01X/Z has a cutting capacity of 2-5/8" at 90 degrees. In side-by-side testing the XSH01X/Z exhibited corded power and speed, cross-cutting a 2x10 in only 1.5 seconds and matching the cutting time of the Makita 5007F corded circular saw. Model XSH01X/Z has a reinforced magnesium base for added durability and weighs only 10.1 lbs. (with batteries). The saw includes two L.E.D. indicators that monitor battery charge status and temperature. Additional features include an electric brake for maximum productivity, rubberized soft grip handles for increased comfort, and a built-in dust blower engineered to clear the line-of-cut for improved visibility. Max. Cutting Capacity (at 90°) : 2-5/8"
Max. Cutting Capacity (at 50°) : 1-11/16"
Max. Cutting Capacity (at 45°) : 1-7/8"
Shipping Weight : 10 lbs.